Mina Attin used her clinical and research experience to focus on the field of cardiac electrophysiology. In the course of pursuing her PhD, Attin studied the mechanism(s) of ventricular fibrillation and defibrillation by examining the role of calcium transients in isolated rabbit hearts using optical mapping techniques. As an assistant professor in the School of Nursing, she established a multi-center clinical study exploring novel cardiac biomarkers occurring prior to in-hospital cardiac arrest. Creating interdisciplinary teams has been an essential aspect of her research program and has afforded her the opportunity to collaborate with clinical and basic scientists both from the School of Medicine and the School of Engineering. 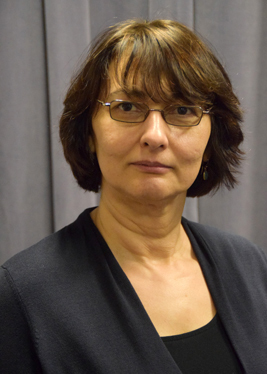 Attin’s work has been nationally recognized: she has designed prospective and retrospective studies that have earned accolades from the American Heart Association. Her primary aim in conducting this research is to improve patient care through a better understanding of the mechanisms underlying the cardiac arrhythmias that precede cardiac arrest. Attin M, Feld G, Wang L, Najarian K, Shandily S, Saboriazad P, Lemus H, Lin C-D (2015). Electrocardiogram characteristics prior to in-hospital cardiac arrest. Journal of clinical monitoring and computing, 29 (3), 385-392. Attin M, Winslow K, Smith T (2014). Animation shows promise in initiating timely cardiopulmonary resuscitation: Results of a pilot study. CIN Computers Informatics Nursing, 32 (4), 166-171. Attin M & Davidson J (2011). Using QRS morphology and QTc interval to prevent complications and cardiac arrest. Critical Care Quarterly, 34 (3), 246-253. Attin M, Clusin WT (2009). Basic concepts of optical mapping techniques in cardiac electrophysiology. Biological Research in Nursing, 11, 187-194. Attin M, Ideker RE, Pogwizd SM (2008). Mechanistic insights into ventricular arrhythmias from mapping studies in humans. Heart Rhythm, 5 (6), S53-S58. Wu S, Weiss JN, Chou CC, Attin M, Hayashi H, Lin SF (2005). Dissociation of membrane potential and intracellular calcium during ventricular fibrillation. Journal of Cardiovascular Electrophysiology, 16 (2), 186-192. Omichi C, Lamp ST, Lin SF, Yang J, Baher A, Zhou S, Attin M, Lee MH, Karagueuzian HS, Kogan B, Qu Z, Garfinkel A, Chen PS, Weiss JN (2004). Intracellular Ca dynamics in ventricular fibrillation. American Journal of Physiology, 286 (5), H1836-44. Attin M, Cardin S, See V, Doring L, Dunn D, Ellstrom K, Erickson V, Etchepare M, Gawlinski A, Haley T, Henneman E, Keckeisen M, Malmet M, Olsen L (2002). An educational project to improve knowledge related to pulse oximetry. American Journal of Critical Care, 11 (6), 529-34. Attin M (2001). Electrophysiology Study: A Comprehensive Review. Journal of Critical Care, 10 (4), 260-273. Koren MJ, Buda C, Henry W, Attin M (1997). Treatment of Atrial Fibrillation and Paroxysmal Supraventricular Tachycardia With Bidisomide. Circulation, 96 (8), 2625-263.